Our small dedicated “Oasis Groupies” team is here to take the stress out of making a group booking. We can specially tailor accommodation and services that are prefect for you and your group. Whether you are a university group, sports group, or just a large bunch of people that would rather spend time enjoining one of our cities than worrying about every little detail then Oasis Hostel Groups is perfect for you. Granada, Malaga, Sevilla, Madrid, Toledo, Barcelona, Valencia, Lisboa, and Porto. Rooms from 4-14 beds, ensuite bathrooms, linen and locker. Single and twin rooms for group leaders available. Guest kitchen, patio, terrace, wifi access all available. Possibility to have activities in various languages. Talk to us to find out what tailor-made activities or food services we can offer. We are able to offer you the best group deals for these cities in Spain and Portugal Granada / Málaga / Seville / Toledo / Valencia / Barcelona / Madrid / Calpe / Santiago de Compostela / Lisboa / Algarve. 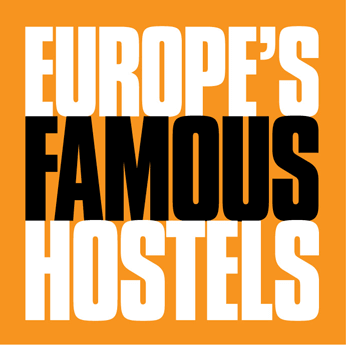 Please contact us by email at groups@hostelsoasis.com to ensure best service. We will answer your email request in less than 24hs. Our group booking office operates from Monday to Friday. If your request is submitted over the weekend, you will receive your complimentary and best quote by Monday. We offer breakfast, lunch and dinners servings or lunch packs if requested. Furthermore we have a full and varied offer of tours and activities such as historical city walks, street art tours (graffiti), bike hires, tapas tours, flamenco shows and outdoor walks or climbs, nature tours such as the Cahorro Tours in the Alpujarras mountain range. Speak to us and we will easily offer something that fits your group travel needs.